With your donation, you help EFGS provide the unique French programs you desire for your children’s education. The generosity of our families and friends means that the Annual Fund reached close to $12,000 in unrestricted contributions for EFGS. Thank you to everyone who donated to our first Annual Fund Campaign and made this outcome possible. Each gift has a tremendous impact on EFGS, supporting us in making the necessary investments to sustain our growth and envision the future. Your generosity shows that we share the same vision to offer an affordable, effective and high-quality educational program. Although the parent-led campaign has now ended, EFGS will continue to accept Annual Fund donations for the 2016-2017 school year through June 30. The funds raised this year will help us reach a balanced budget while necessary investments are made. Among many items, these investments include retaining teachers with a new salary system, developing new academic programs and improving our organization with the hiring of a new Program Director. 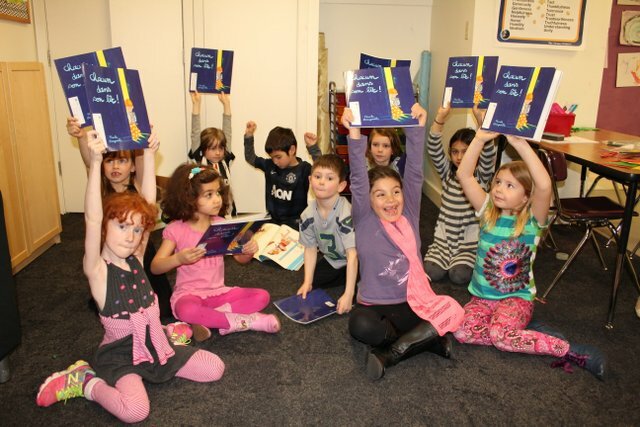 Donations will help us maintaining growth without compromising our mission: to provide an affordable, effective and high quality educational option for French speaking children. Donations to the Annual Fund are "unrestricted" and go towards the current fiscal year budget and will be used during the school year in which the donations are made. An average gift of $100 per student would help us reach our goal. However, we recognize and understand that this may be beyond the abilities of some families, and some families may be able to give much more. Above all, please know that EVERY gift to the Annual Fund is needed and greatly appreciated. We are truly grateful for your contribution.